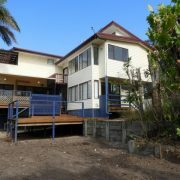 Overlooking Shelly Beach with Panoramic northerly views this large residence has so much to offer. 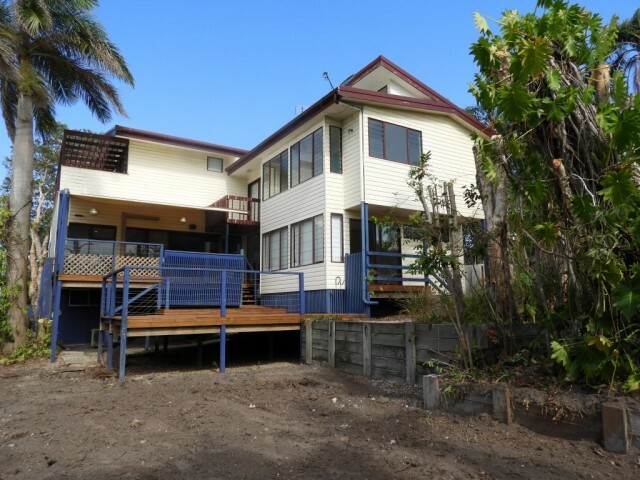 Consisting of five bedrooms, five balcony decks along with three living/entertaining areas. Completely remodeled in approximately 2000 by the then owner a major local builder. The external cladding consists of wide schampher boards, with the lower living area being polished timber floors. Large decks compliment the lower level, which contains two bedrooms, three living areas, kitchen and bathroom, these open onto massive external decks. The upper level with three bedrooms, bathroom and two north facing balconies enjoys exceptional views. The parents retreat with its own individual wide north facing deck, ensuite and walk in robe consists of approximately78m². There is car accommodation under plus boat or van storage on the southern side. The rear yard currently being refenced offers abundant space and is in terrace form. This location with a Kings Beach address is three homes off King Street and the Shelly Beach access, or alternatively a short stroll to the surf and facilities of Kings Beach via Burgess Street, this is an excellent opportunity to acquire a very sound property that is not based on an old fibro beach house and is very close to Shelly and Kings Beaches offering tranquility at Shelly and patrolled surf and cafes at Kings Beach.